There's a reason why the buzz around cloud computing never seems to die down. Concrete results are replacing the initial hype. 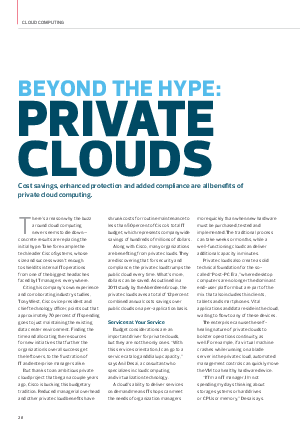 Many organizations are taking advantage of private clouds which come with the accessibility of a public cloud and the security of a local sever.